As with any divorce, the first people to be hurt are the children—the spider-children, whose development into spider-men can be stunted without a couple of strong, genre movie producer role models to ensure that we cover every detail of it, again and again. 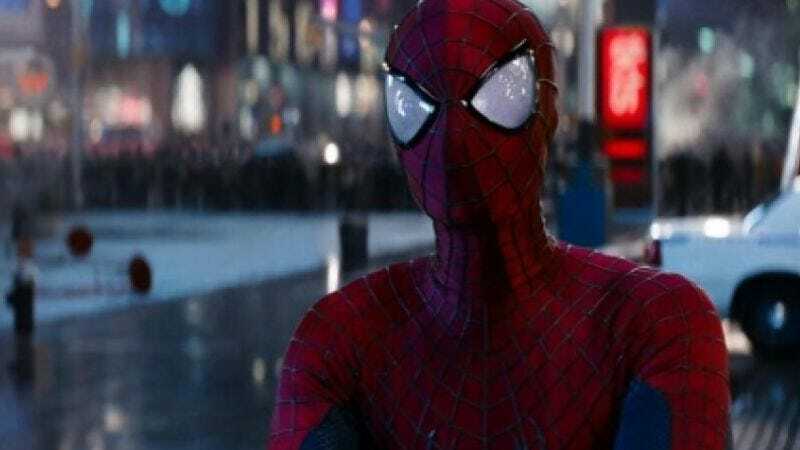 And so, after the split of screenwriting team Alex Kurtzman and Roberto Orci to focus on their own individual franchise needs led to reports that Sony was having trouble getting The Amazing Spider-Man 3 to behave in a way befitting of a small, spindly, intellectual property that had enormous responsibility thrust upon it, the studio has now announced that it will just have to delay it until 2018. Maybe by then, it will have found a way to become the kind of Spider-Man Sony can be proud of, for the three to five years before it reboots it. In the meantime, Sony is shifting its focus to Sinister Six, the Drew Goddard-directed spinoff that will debut in Nov. 11, 2016, and bring in the large number of villains that is so crucial to any Spider-Man finding its way. Moving Spider-Man 3 from its June 10, 2016 spot—a place now occupied by the long-in-the-making Uncharted movie—to a yet-to-be determined day in 2018 also means displacing Amazing Spider-Man 4, which was originally slated for May of that year. It also makes it an open question as to whether it will even happen. But maybe, just maybe, another movie is something a Spider-Man should have to earn?